Prenatal vitamins and other supplements are advised for women who are trying to conceive, who are pregnant, and who are nursing. They provide the vitamins the woman and the baby need to stay healthy. While it is possible to get all of the vitamins you need from food sources, very few people actually do so. Prenatal vitamins and other supplements are an easy way to make sure that you are getting everything you and your baby need, a kind of insurance policy. The most important ingredient in prenatal vitamins is folid acid, a B vitamin. The absolute least you should do in terms of vitamins before you conceive and while you are pregnant is take a folic acid supplement. The supplement should provide four hundred micrograms of folic acid. This is an important supplement to take because it is very hard to get an adequate amount through diet alone. By taking a folic acid supplement you reduce the chance your baby will have neural-tube birth defects such as spina bifida by up to seventy percent. You can buy folic acid vitamins by themselves or get your daily requirement of folic acid through a standard vitamin, or a prescribed prenatal vitamin. Iron is very important to your bodies’ production of blood. Production drastically decreases during pregnancy and it can be difficult to get enough iron in your diet. The amount you need when pregnant is almost double what you need when not pregnant. Women who are anemic can require even more. You can get the iron your body needs with a prenatal vitamin or with separate iron supplements. Before taking a supplemental iron, make sure to talk with your obstetrician about any side effects that may occur from over supplementation of iron. You don’t need more calcium when you are pregnant or trying to conceive, however, it is more important that you receive an adequate amount during this time. You can meet your calcium needs through dairy products and a few other foods. However, if you are unable to eat enough of these foods you need a calcium supplement. This is one of the vitamins that you will not be able to get enough of through a prenatal vitamin. If you are unable to meet your calcium needs through diet you will need to get a separate calcium vitamin. Preparing the body for pregnancy can begin far before the woman actually conceives. Taking a prenatal vitamin on a daily basis will prepare the body for the conception of the baby. Having high amounts of folic acid in the body before becoming pregnant is a healthy way to decrease the chance of neural tube defects. Most women are also deficient in other vitamins and nutrients and thus taking a prenatal vitamin is key to overall body health. Women do not have to be pregnant in order to take a prenatal vitamin and can even take the vitamin well after they have given birth to baby. 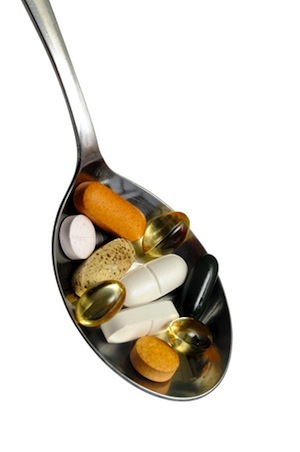 Prenatal vitamins are completely safe to take as an everyday multi-vitamin for both women and men.